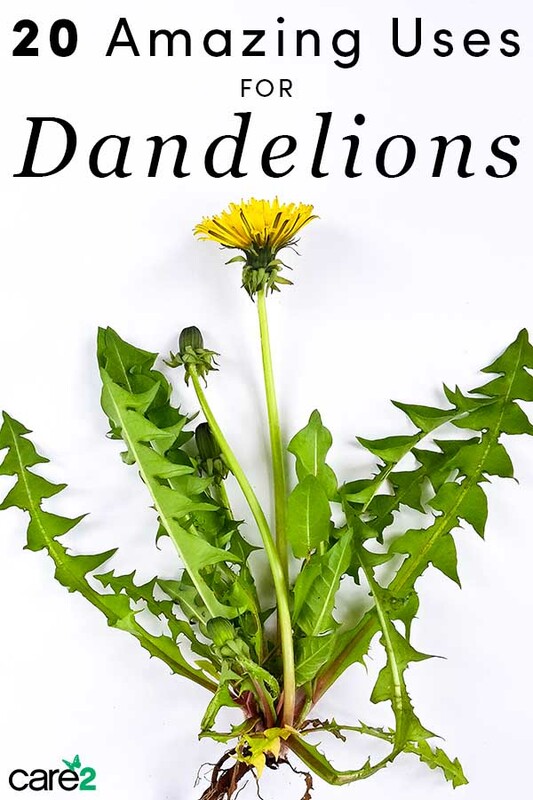 You have probably pulled dandelion in your garden, thinking it’s a weed. It turns out that this yellow plant is loaded with antioxidants and vitamins that can improve your health. On top of being an ideal food for the pollinators in your garden, dandelion is incredibly healthy for humans. Dandelion is a good source of magnesium, B vitamins, vitamin A, C, and K, calcium, zinc, choline, potassium, and iron. Dandelion leaves and roots have long been used for medicinal purposes. Unfortunately, there aren’t any human studies to back the many benefits of dandelion. However, animal studies show that adding dandelion to teas, salads, soups, and other dishes can treat diseases and improve health. Dandelion seems to help prevent UTIs in women when combined uva ursi leaf extracts. The two herbs kill bacteria and increase urine flow according to WebMD. Avoid taking this combination long-term since it may have negative side effects. For many years, dandelion has been used to treat stomach upsets and indigestion. This animal study showed that dandelion extract could speed up the emptying of the stomach, allowing food to pass smoothly through the intestines. One study found that adding dandelion to soup helped people who had their tonsils removed recover faster. You may want to drink dandelion juice if you are diabetic or pre-diabetic. Research shows that this herb stimulates insulin production, which helps regulate blood sugar levels in the body. Many cultures use dandelion to improve liver function and remove toxins from the body. The strong antioxidant and anti-inflammatory properties of dandelion help protect the liver, research shows. Diuretics help increase the amount of water and salt removed from the body through urine. They are beneficial to people with high blood pressure and kidney problems. Lab studies show that dandelion root extract can kill stomach cancer and leukemia cells. Other studies show that it may help fight colon, breast, and liver cancer. Of course, you should talk to your doctor about incorporating dandelion root extract into your cancer treatment plan. Infusing dandelion flower in oil and then applying it on an achy joint can help ease the pain. Natural remedies enthusiasts recommend mixing fresh flowers with a base oil like olive oil in a mason jar and then leave the mixture for two weeks to infuse before straining the oil. Keep the oil in a cool place. Dandelion may help reduce bad cholesterol and as a result lower the risk of heart disease. This study on rabbits found that dandelion improved cholesterol levels even when the rabbits were fed a high-cholesterol diet. Dandelion contains nutrients that are essential for keeping the skin healthy. Many people add it to teas or take capsules to improve skin health. Dandelion may help you recover faster from your workouts. In one animal study, researchers found that feeding mice dandelion for 10 days reduced muscle damage after exercise. In Korea, dandelion has long been used to boost energy levels, and Koreans might have been right all along. This study found that dandelion can reduce fatigue and boost energy levels. This animal study shows that it may protect your kidneys. Of course, animal studies don’t always translate to human results, so take this one with a grain of salt. One study found that dandelion increases red blood cells, meaning you may be able to use it to treat anemia. Some sources say it may help treat gallbladder blockages. You can use it to boost your immune system, according to research. Helpful for preventing bone-related diseases, study says. 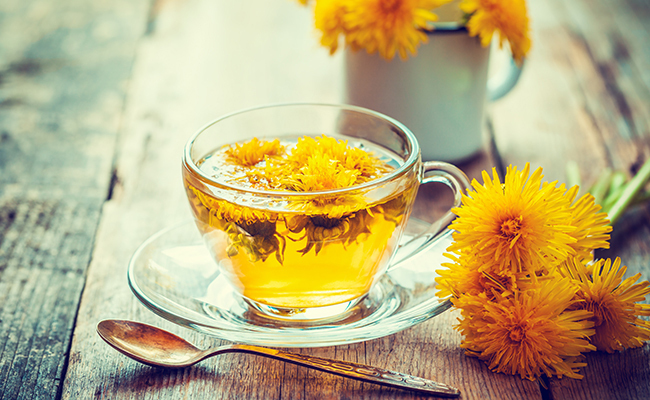 Dandelion tea contains dietary fiber, which may help ease constipation. Fiber improves bowel movement, thus reducing chances of constipation. Some sources say that dandelion is a mild appetite stimulant. However, there are no studies to back these claims. If you have lost appetite, it can’t hurt to drink a cup of dandelion every day, to see if your appetite improves. One animal study found that dandelion extract from the leaves and roots acts as an antidepressant. Thanks. My grandmother swore by dandelion tea. Dandelion was used as fresh new leaves in salads for people who could not buy salads or green veg. So other green veg might be as good. Dandelion is known as a diuretic and emetic.